Why are there so many disputes over forestland in the state? 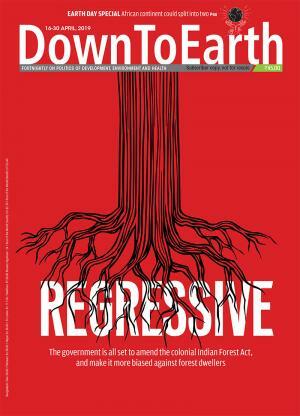 Why are tribals pitted against the forest department? Land is not an issue in tribal areas. The issue is development and exploitation of the region by the government of Bihar. There are no roads, water employment. Land is not issue at all. There are landlords who own large tracts but cannot cultivate them because of the fear of militant groups like the MCC. They are willing to sell their property at reasonable rates. The government can buy those. Then there is a lot of non-cultivated land that is not fit for agriculture now but can be made arable. Then why have so many tribals taken over forestland? People who have captured forestland here don't think of national interest. Tribals don't live inside the forest, only near it. The settlers are from West Bengal and Orissa, who were brought in by the activists of the Jungle Andolan only for political ends. Several leaders have requested the state government to release forestland for agriculture. What are you going to do? The state government cannot release any land as the matter is being heard in the Supreme Court. But land is released for mining all the time. That is done by the union ministry of environment and forests. Are you in favour of amending the Forest (Conservation) Act? If the need of the hour is to amend FCA, so be it.